It's never too soon to dream big--or to take action! 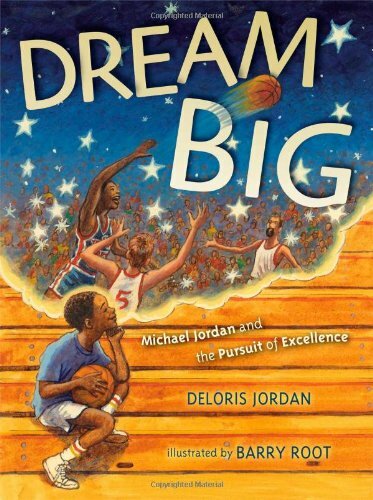 Pursue excellence with this inspiring picture book from the mother of star basketball player Michael Jordan. Before Michael Jordan was a record-breaking athlete, he was a young boy who dreamed of playing basketball for the United States Olympic team. His mother tells him, "Dreaming is for dreams. If you want to play, you better get busy." So what did Michael do? He got busy! Discover how Michael made his wish into a reality--Olympic gold medal included--in this motivational picture book for sports fans, go-getters, and anyone with big dreams! Michael Jordan's mother returns for another story about her famous son's childhood.